500 years ago today was the last time a King of any part of Britain died in Battle. The King in question was not Richard the Third of England but James the Fourth of Scotland, the grandfather of the famous Mary, Queen of Scots. 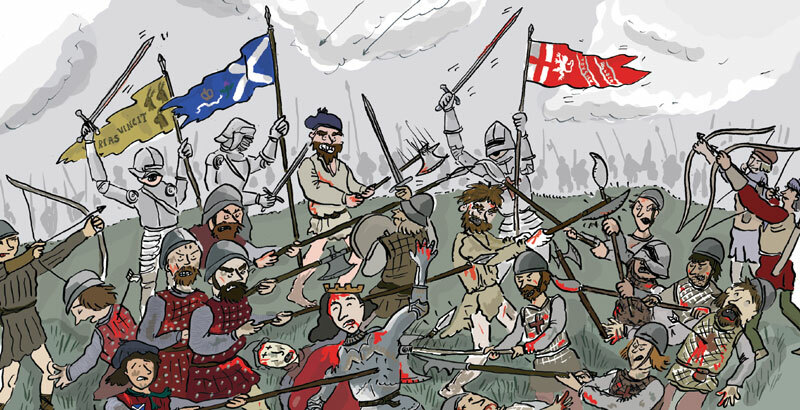 The battle was The Battle of Flodden, one of the greatest English victories over a foreign power at the time and one of the worst defeats the Scottish people ever suffered. 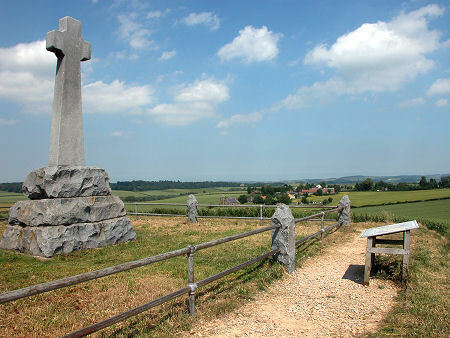 The story of the battle and how King James lost his life begins in France. At the time France, a protestant country, was besieged by The Catholic League which England was a part of at this point. The League was led by the Pope who had decided to literarily destroy Protestantism in Europe via the means of attacking all the countries that did not see him as the greatest power on Earth below God. Louis Twelfth of France was in such a position in late 1513. 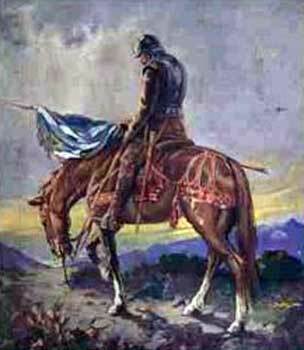 Realising that the combined might of the English, Spanish and Italian armies would be too much for him, he sent word to James the Fourth of Scotland. The message asked James whether he would honour the Auld Alliance a pact between France and Scotland dating back to 1295. The pact stated that if either country was invaded by England the other would invade England. Henry the Eighth had already annoyed James by claiming to be overlord of Scotland and its King so on the 19th of July, James readied the Scottish fleet. Henry’s sister Margaret was married to James at the time making the bitter struggle for supremacy a family one. After receiving Henry’s response, James made his army ready and began to march for England. When word reached York that the Scots were invading, the Earl of Surrey, Thomas Howard who had only a few months before been made Lieutenant General of The Northern Army, got his army ready and began to march northwards. James being a man of chivalry had told the English a month in advance that he was going to invade, thereby giving the English more than enough time to raise troops from the men who had not gone to France with the King and be ready for the battle. Surrey marched northwards with his army, making sure Newcastle was safe before marching to Bolton in Yorkshire to have a full muster of men. Meanwhile the half the Scottish army was waiting at Flodden while the rest, including the King himself, were burning down castles in the north. Finally James arrived at Flodden and camped down with the rest of his men. When Surrey finally arrived he did not move towards Flodden as James had expected but towards Braxton a few miles north of Flodden. Realising this could leave part of his army undefended; James hurriedly marched his army to the hill at Braxton and positioned himself there. Finally on the 9th of September, today, the two armies met on the field of battle. James soon spotted that the main part of the English army was being led by Surrey and Lord Darcy’s son. Surrey’s forces took the major brunt of James’s forces. Howeve,r James had not counted on a secret attack from barefooted Lancashire and Cheshire soldiers who had arrived later in the battle and had been ordered to creep over a mound behind the battlefield to attack the enemy unawares. After many hours, the battle turned in favour of the English. All hope was lost when King James was killed by a spear launched by The Earl of Surrey. Soon the battle was over with the English capturing the Scottish cannons and taking them to the nearby Etal Castle. The Bishop of Durham later commented that they were the finest guns he had ever seen. The other described the King escaping but having been later killed on the road between Duns and Kelso. The truth was that James had been killed during the battle making him the last King of any part of Britain to die in the field of battle. Today is a day of remembrance which many overlook. Flodden changed English/ Scottish relations for ever in the same way the Bannockburn had changed them in 1314. However, it did not only change the political status quo but also the lives of thousands of people whose fathers, sons, brothers, husbands had all been slain during that battle. Thousands of people died at Flodden and that is what we should be really remembering on this day, 9th of September 2013 exactly 500 years after Flodden was fought.